A guest column in this weekend’s Sunday Times looking at the question of lone actor terrorism and how it fits into perceptions of the threat picture at home. Given the work I have done on this topic, it might seem I am contradicting myself, but I think the point is that all of these threats have to be kept into perspective. Lone actor terrorism is going to be a growing priority (as the end of this year has brought into sharp focus), but when held up against the sort of plotting we have seen in the past (and might still face in the future), we are dealing with a very different threat and this ought to be reflected in threat perceptions. This aside, spoke to the International Business Times about ISIS’s year. The year has ended with a sharp increase in “lone wolf” terrorist attacks. A threat that had been growing for some time finally found its feet in 2014’s closing months with incidents in Canada, America, Australia and France as well as disrupted plots in Britain and elsewhere. Yet while it feels like the threat is on the rise and security services are working at full strength to counter the risk, we are actually safer from the threat of terrorism at home. None of this is to say that lone terrorists are not a danger. Sometimes these individuals are able to summon the wherewithal to launch attacks that kill many. The Norwegian mass murderer Anders Behring Breivik is the best example with his 2011 bombing and shooting campaign in Oslo and on Utoya island that killed 77 within a few hours. However, he is a rarity and most lone-wolf plots pale in comparison with al-Qaeda’s former ambitions. For example, in August 2006 British police disrupted an al-Qaeda plan to bring down transatlantic flights with liquid bombs. But while the security services continue to worry about such ambitious plots, they are able to disrupt them. Plots involving lots of people mean communications and other activities that set off intelligence tripwires. In contrast, an individual planning to stab a random policeman using a knife he already has at home is a hard target to pick up unless he has told someone else. And it is not always the case that the person he is telling will report it or realise what they are being told. This sort of threat slips under the radar, as in the case of the men responsible for the murder of Fusilier Lee Rigby last year in Woolwich, southeast London, or like Man Haron Monis, the Sydney siege gunman, this month. In the first case the two attackers were hard to separate from the larger antisocial, but legal, community of radicals in the UK. The Australian case shows the difficulty of spotting prior to an attack an individual angry at society who adopts the appearance of a terrorist to express himself more loudly. The real question, though, is whether we should react in the same way to these incidents as we did to the July 7, 2005, bombings of London’s transport system. The deaths of more than 50 commuters is surely more menacing to society than the death of a single off-duty soldier in Woolwich, as tragic as any loss is. Almost a decade since the July 7 bombings we are now facing a terrorist threat that is only really able to express itself in the form of lone-wolf attacks. And while such attacks will lead to great suffering for those directly involved, they will affect many fewer people than, for example, the September 11, 2001, attacks on New York and Washington. Abroad, it remains a different matter. As the year ended, the Pakistani Taliban launched an attack on a school in Peshawar, killing more than 140, and Boko Haram murdered dozens and kidnapped another 180 people in Nigeria. Terrorism on a large scale is still the aim but it is a goal that is increasingly hard to achieve in western countries and capitals. Instead groups push for their supporters to carry out attacks without direct communication. Individuals who are part of networks, and who are launching attacks with terrorist motives and intent, become confused with deranged or unstable people who see lone-wolf terrorism as their way of joining a larger cause or bringing attention to themselves. However, while the attacks seem more frequent, the casualties at home are less. If work by the security services has managed to reduce the threat down to lone-wolf terrorists or deranged individuals then things are not necessarily as bad as they seem. The concern caused by lone-wolf terrorism is understandable. The rash of seemingly random incidents towards the end of the year gives the impression of a rising tide. But it must be kept in context. Terrorist groups continue to want to attack the West, yet find it increasingly hard to do so. The lone-wolf terrorists we have seen are a mix of individuals with connections to other terrorists (but little evidence of direction in launching their attacks), or socially awkward, troubled individuals who demonstrate little ability to do much more (in most cases) than kill or injure a couple of people and try to dress it up as an organised plot. Terrorist groups continue to be unable to carry out large plots on the scale of the July 7 bombings, though they continue to try. In fact it is even possible that the hyperventilation around lone wolves is helping to attract more people to the idea and exacerbating the problem. If people notice that these sorts of attacks attract attention, then they might want to emulate them to direct some of the spotlight onto their own personal cause. The current lone-wolf panic might ultimately be instigating the very sort of incidents we are all worried about. First of all: Happy holidays to anyone who is reading this! A brief hiatus over the holiday period after a slowdown towards the end of the year for a variety of reasons, but will be hopefully back to more regular output next year. In the wake of Sydney (and subsequent events in France) had a spate of conversations with journalists about the phenomenon of lone actor terrorism, including for the Financial Times, Telegraph, Huffington Post, Newsweek and New York Times. The Guardian in the meantime solicited the below piece. I am sure (and know) there will be more on this topic in the new year, in particular as am in the midst of projects on this very topic in a variety of different directions. Lone actor-style terrorism is becoming the new normal. Groups like al-Qaeda and Islamic State (Isis) have been pushing it most recently, but it has been a feature of terrorist narratives and strategic thinking for some time. Isolated individuals who launch attacks using rudimentary weapons are difficult for security forces to detect using their traditional methods. The same factors that make it hard to intercept such individuals make it equally hard to know for sure that what is being looked at is a genuine terrorist attack, or a deranged person who adopts the garb of a terrorist to publicly exorcise personal demons. Monday’s attack in Sydney by Man Haron Monis was an archetypal case of how confusing this picture can get. A clearly troubled individual tried to draw some of Isis’s brand and spotlight to himself, and ended up leaving the world wondering the degree to which he can be considered associated or connected to the group in any way. Lone actor (the preference by governments is to not use the term “lone wolf” as it is seen as glorifying) terrorism is not new. Right wing extremists have long liked the idea, drawing back to Cold War thinkers who were keen to prepare America for the possibility of an invading force that would require loyal survivors to take to the hills to wage an undercover insurgency against invaders. Initially developed under the concept of “leaderless resistance” in the 1960s by a US Army Cold Warrior called Ulius Louis Amoss, the ideas were further advanced by a Ku Klux Klan member called Louis Beam in the 1980s. For Beam, the concept of single man (or small cell) fighting units was a perfect way around the need to fight a strong and pervasive state – because there were fewer opportunities for security forces to intercede. Moving into our current age of sacred terror, the concept of networks of extremists with few connections launching a global insurgency was advanced by an al-Qaeda ideologue named Abu Musab al Suri. He spoke of a group structured like a “system, not organisation” – whereby different cells had their roles, but did not speak to each other in any direct way, each knowing their job and role without the need for compromising contact. Largely ignored by the broader al-Qaedaist community, his ideas were picked up with great verve by al Qaeda in the Arabian Peninsula (Aqap) who used their Inspire magazine to push the idea of a self-starting jihad whereby individuals simply launch attacks using weapons easily to hand against any target they could find. In one issue they advocated people simply taking a jeep with knives welded to the front of it and driving it into a crowd of people. Track forwards to today and Isis leader Muhammad al Adnani gave a speech in which he called for people to “kill a disbelieving American or European – especially the spiteful and filthy French – or an Australian, or a Canadian, or any other disbeliever from the disbelievers waging war … in any manner or way however it may be”. As al Adnani put it, cause murder and mayhem wherever you are, without asking “for anyone’s advice” or “anyone’s verdict. Kill the disbeliever whether he is civilian or military”. While groups have long pushed in this direction, it is not clear how successful they have been in actually driving people in this direction. There has been a noticeable increase in lone actor style terrorist attacks whereby people launch attacks seemingly without any clear direction or command and control from a specific group. It is not clear that this is something that a group, like Isis or al-Qaeda, could really claim credit for. In a British context, the first real lone actor terrorist plot took place in the form of Andrew Ibrahim, a troubled young man from Bristol who was reported to authorities by the local community when he showed up to his local mosque with quite serious burns on his hands. A self-proclaimed Muslim convert, Ibrahim had led a troubled youth dabbling in drugs, the rave scene and steroids. At the time of his arrest Ibrahim seemed to be primarily making his money on welfare and selling the Big Issue. Somewhere along the way he decided to adopt the garb of extreme Islam. Ibrahim spent some time trying to connect with extremists around the UK, while he would show off videos of Osama bin Laden to his friends. When police moved to arrest him they were shocked to find viable homemade explosives in his fridge, a homemade suicide vest behind his door and a well thought-out plan of the Princesshay shopping mall, which he apparently intended to target in a suicide terrorist attack. 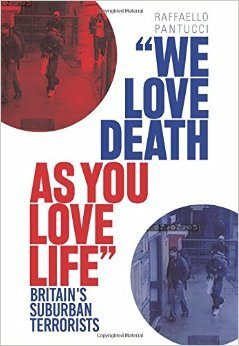 With no connections or direction from known extremists, Ibrahim was the first in a number of cases in the UK where individuals launched seemingly random attacks in which they would refer to the language and rhetoric of violent Islamism without having any connection to it. When prying into their motivations, often the appearance was of an individual who was angry at the world and was looking for some way to express this anger. The bright light of violent Islamism sometimes offers the best way to express this rage. While we still do not know the full picture with Man Haron Monis, it increasingly seems as though we are dealing with a similar individual who is troubled and angry at society for his own personal reasons, and who saw the bright light of Isis’s brand as the best way to get his message out there. The problem is that while he may have had no connection to the group, his choice of using its rhetoric and approach to express himself meant that his plot captured the world’s attention. A man, angry at society, quickly escalated into a potential terrorist incident, with potential links to Isis. This both bolsters the group and the individual. Separating these incidents out and establishing how to properly respond to them is going to be at the heart of counter-terrorist planning for the near future. With apologies for the silence, it has been a very busy and hectic time in a number of different directions. Things ramping up in many different ways for the end of the year, so am only now getting around to posting my latest journal article for my institutional home’s in-house publication the RUSI Journal. It looks at Lone Actor terrorism in the UK in the wake of the Woolwich attack, something that abruptly became very relevant again recently as a result of a number of disparate attacks in Canada and now Australia. More on this topic to come. Over the past few weeks have also spoken to a few journalists, including the Los Angeles Times about the UK’s counter-radicalisation efforts, the Financial Times and Jewish Chronicle about the difficulties posed to counter-terrorists across Europe due to the free movement around the EU, to the Guardian about the ongoing chaos in Libya, to NBC about ISIS, and the Financial Times and Telegraph about events in Sydney and lone actors. On the other side of the docket, spoke to Bloomberg about the Silk Road Economic Belt and Li Keqiang’s visit to Kazakhstan, to Voice of America about Xi Jinping’s anti-corruption drive in the wake of the charging of Zhou Yongkang, and to the Associated Press and South China Morning Post about terrorism in Xinjiang. Finally, I was on the BBC’s Newsnight about the Sydney attack last night, which can be seen here for the next month. Recent events in Syria and Iraq have shown in horrifying starkness the increased participation of British jihadists in terrorist fighting in the Middle East. In response, many have called for increased measures against home-grown radicals, to prevent them from travelling abroad to fight for the Islamist cause and, crucially, to stop them from carrying out attacks upon their return. Raffaello Pantucci analyses the difficulties of identifying potential terrorists among the many individuals who move within radical Islamist circles, and the even more challenging task of pinpointing those susceptible to self-radicalisation who could, without direct guidance, carry out dangerous acts of lone-actor terrorism.